2019 CCL Fall Garage Sale! In order to obtain access to the pool facility, you must be current on your assessments and have a blue electronic key fob for entry to the facility. Having trouble registering on this website? email [email protected] for help. If the scheduled collection day falls on July 4th, Christmas Day or New Year's Day holidays, the normal service will be resume the next scheduled pick up day. 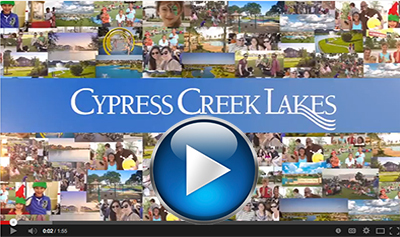 Watch our video that shows you all the fun events that go on all year round in Cypress Creek Lakes now! If collection day falls on July 4th, Christmas Day or New Year's Day holiday, collection will resume the next regularly scheduled pick up day.